WASHINGTON — Soon-to-be college graduates are filling auditoriums and stadiums, ready to receive their newly minted degrees and embark on their chosen careers. But the vast majority has never had a personal finance class. Getting a regular paycheck after living frugally during college years can be a heady experience that can quickly lead to overspending and more debt. Now is a great opportunity for parents and grandparents to give more than much-needed money to their college graduates. Along with the cash, I recommend that you include one or more of the following financial gifts. The lessons taught here will set your graduate on a course for greater financial success and could change his future. One of the best ways to encourage investing is to give your graduate money with strings attached — it has to be invested. I recommend Acorns.com, a well-designed app that makes investing easy and automatic. Your graduate can use your gift to get started with an Acorn.com account, then choose to invest this money into any of 5 different diversified ETF portfolios, ranging from conservative to aggressive. From there, they can continue to invest their spare change rounded up from their credit or debit card purchases. There’s a fee of $1 per month for balances under $5,000. For roughly the cost of one lunch out, they can be on their way to a life of saving and investing. I also like the idea of opening a brokerage account for your graduate and funding it with an initial amount that can be invested in companies of interest to him. Being personally involved will encourage your graduate to save more and invest more and learn more. Nothing beats having a personal coach for learning the tips and habits to succeed at whatever you want to accomplish. The same is true of personal finance. Why not start your graduate off with a personal investment coach from the Garrett Planning Network? I’ve been a fan of the Garret Planning Network for a long time because they offer personal financial planning and investment advice at a reasonable cost. Buy your graduate a gift certificate that allows him to choose from a network of fee-only investment advisers. Get your graduate on the right track to save, invest and plan for the financial future. Pass along Millennials and money: The 5 best ways to cut debt and save more, which is full of fantastic tips and links to helpful resources for easy ways to track spending, how to save more and where to find good financial advice. Set up a savings account with the money that you’re giving your graduate and continue to encourage him to find ways to save. That’s the idea behind Digit.co, a relatively new online service that helps anyone save. It’s different from other scheduled savings programs typically offered by banks because it analyzes a person’s income and spending habits and then determines when they have money that they won’t miss. It sets aside those small amounts into an FDIC insured savings account. They have a no-overdraft guarantee and your graduate can request that money be transferred back into his checking account at any time. In order to offer their service for free, Digit.co keeps any interest that’s earned. Considering that most savings accounts offer almost no interest, this is a good deal, at least for now. This article by Digital Trends does a great job explaining how Digit.co works. “The Millionaire Next Door” by Thomas J. Stanley and William D. Danko: This book is a great guide to the habits that build wealth. Based on the principal that wealthy people didn’t become wealthy by acting that way, Stanley and Danko lay out the seven simple rules to follow to become wealthy. It’s a must read for anyone just starting out and earning his first real paycheck because it teaches the basics of personal finance and helps the reader to develop good money habits right from the start. “You’re So Money: Live Rich Even When You’re Not” by Farnoosh Torabi: Weaning off benevolent benefactors (parents, that’ you) and learning to live on an entry-level income, may come as a big shock to your grad’s preferred lifestyle. 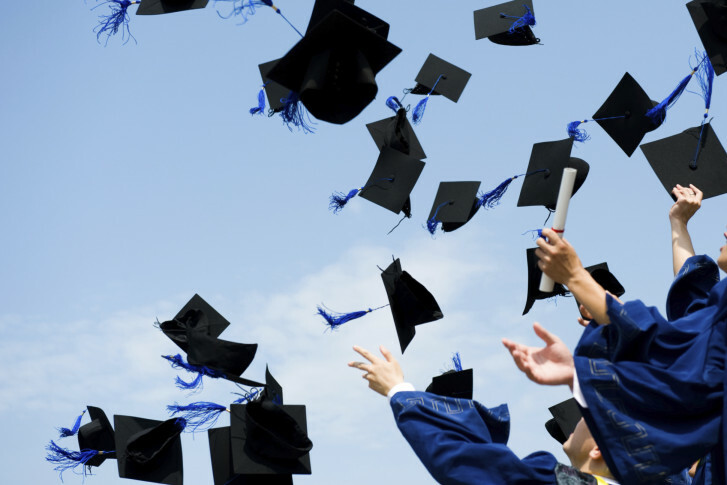 But if your graduate doesn’t learn to live within his means, especially when just starting out, he may quickly rack up even more debt on those new credit cards. Torabi, a savvy financial reporter and 20-something herself, gives grads sensible advice to help them successfully adjust to their new disposable income level, and still enjoy some of the finer things in life. “Why Didn’t They Teach Me This in School? : 99 Personal Money Management Principles to Live By” by Cary Siegal: The author originally wrote this book to pass on good money management skills to his five children. Since most high schools and colleges do not teach students even the basics of money management, this book features eight important lessons focusing on 99 principles that will quickly and memorably enhance any individual’s money management acumen. I like this book because it’s easy to understand and the principles are ready to use.